﻿My favourite occupation perusing the stalls in the market at St.Tropez. 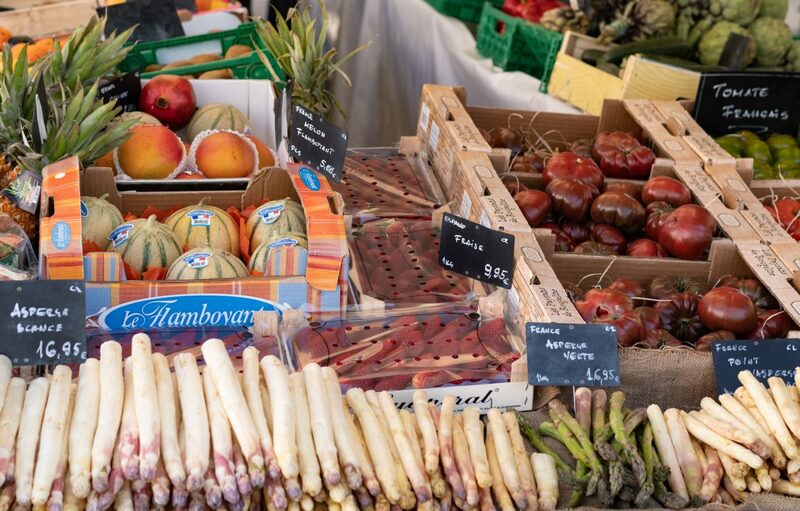 While I am down in the South of France you will find me in the market held in the Place de Lices every Tuesday and Saturday. 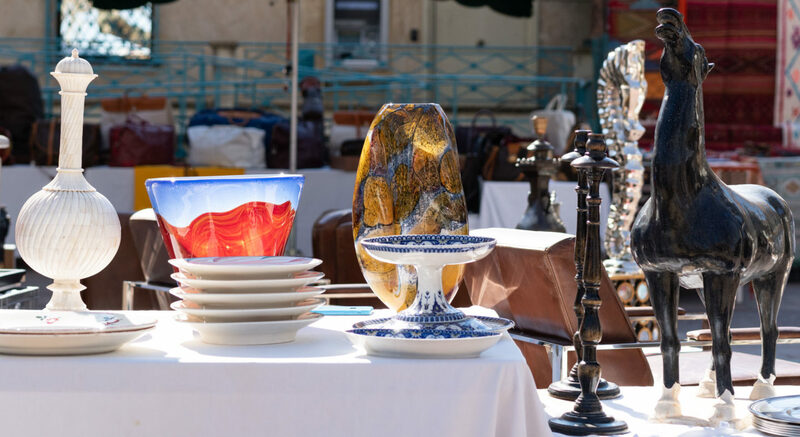 There is a Bric a Brac and antiques section at the back of the market. There are some interesting objects d’art. We did buy a statue from one of the stalls a few years ago and a couple of lovely glass candle holders. However the prices can be quite high and you will need to do a bit of bargaining. Hats glorious hats. I find it very difficult to resist a hat and now have an extensive collection. 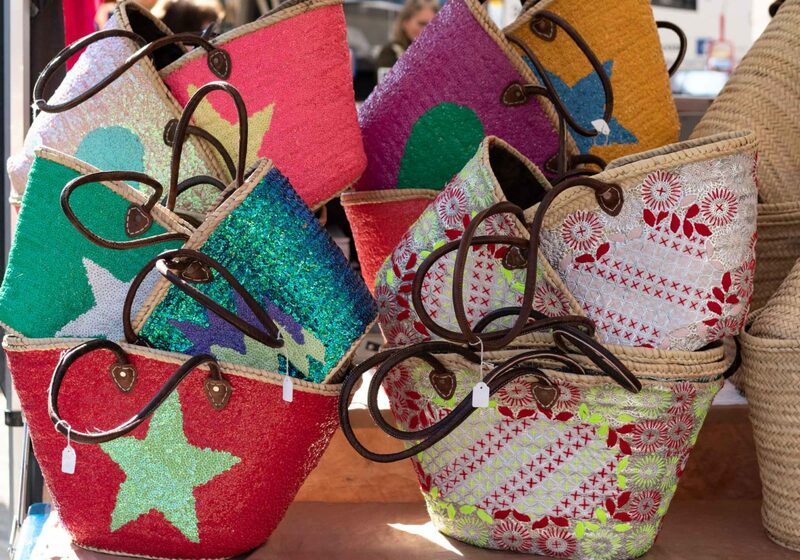 The classic straw bags are also very tempting. This year as well as the plain ones there seemed to be a large collection of colourful and fun ones. The scarves stall are always my favourite. 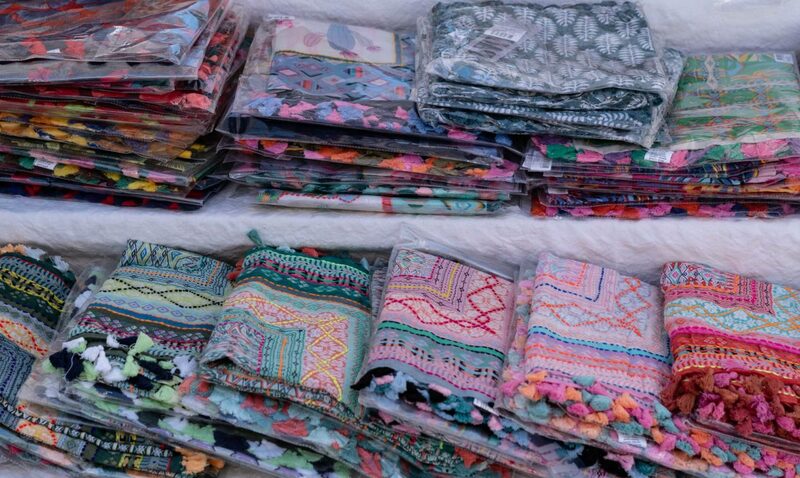 The new summer season stock from my favourite stall. Lots of pink, turquoise and blues with touches or coral and yellow. Local honey. Lavender is my favourite. The flowers, fruit and veg need no explanation. So fresh and vibrant. I hope you enjoyed this tour as much as I did. Till next time. 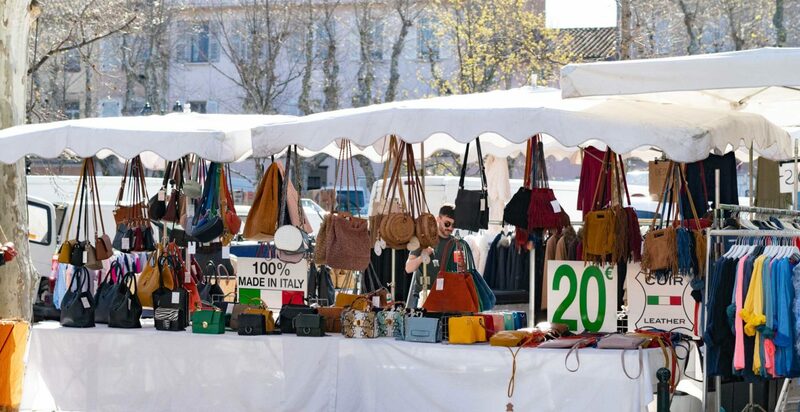 If you are new to my blog you might like to see more posts of my adventures in St.Tropez market here and here. Good news! 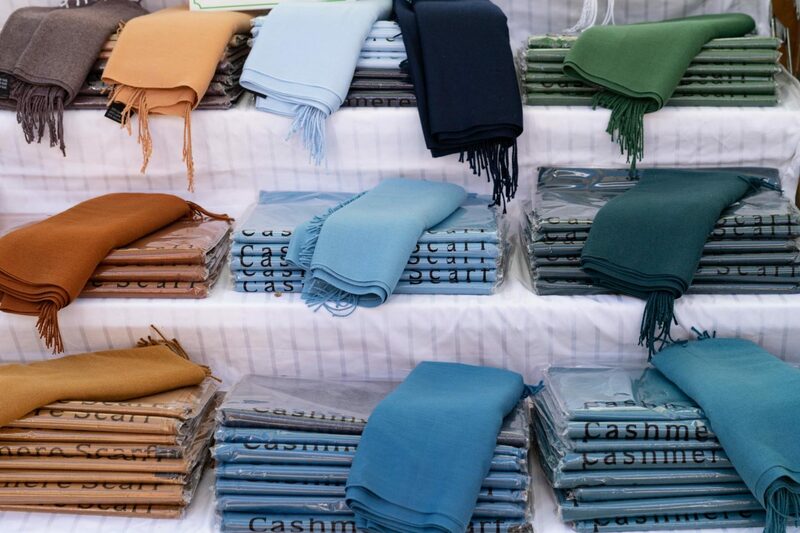 After many years of buying my scarves in St. Tropez market and wearing them on this blog, about six months ago I decided to open an online pop-up shop selling a selection of scarves from the market. 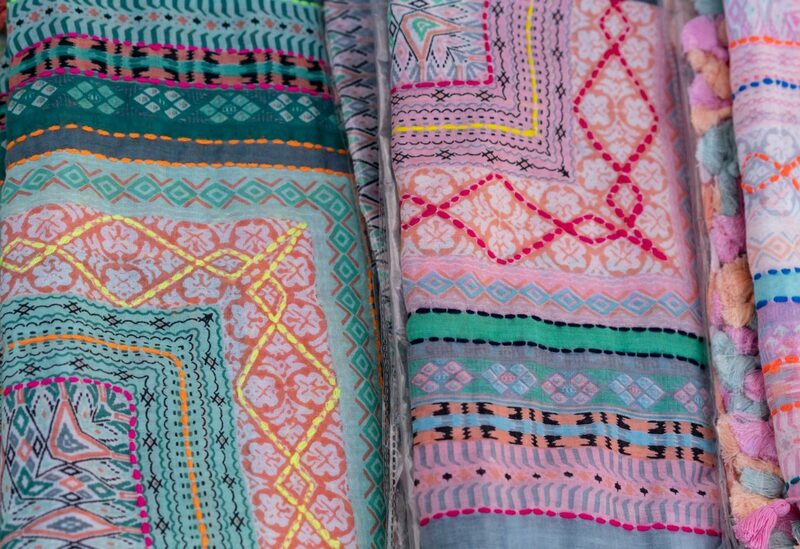 Many of you have admired these scarves and left comments asking me where I bought them and whether they could buy similar. So, at last, you can. The shop is now open so do click on this link Shop at Chicatanyage and have a look. Any feedback welcome. Well done Libby you were quick off the mark. That is one of my favourites. 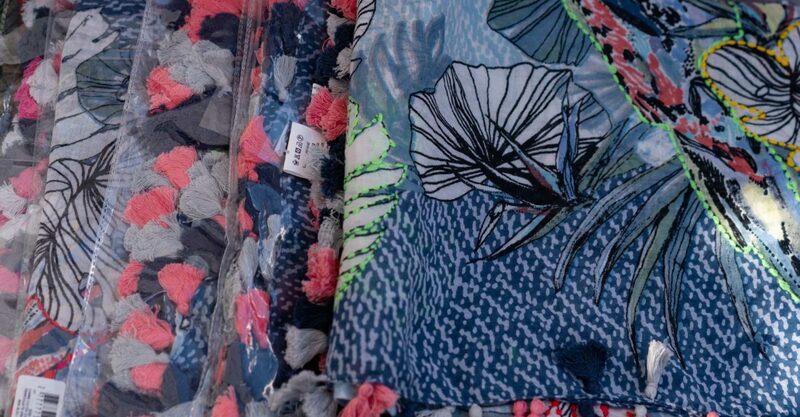 The summer prints with the tassels should be in stock in a couple of months time. I Own the little one on the HAT TABLE! DO they ever wear out those market baskets? I need to start using mine for market! Hope you offer hats too. I’m going to check your store now! We have only just started our new venture. In future, we hope to expand our range. Hats can be tricky due to the varying head sizes. I will try to find some that are adjustable. Yes the straw bags wear incredibly well. I must have bought the one I have here in the market about 8 years ago. I use it nearly every day and it is still in very good condition. 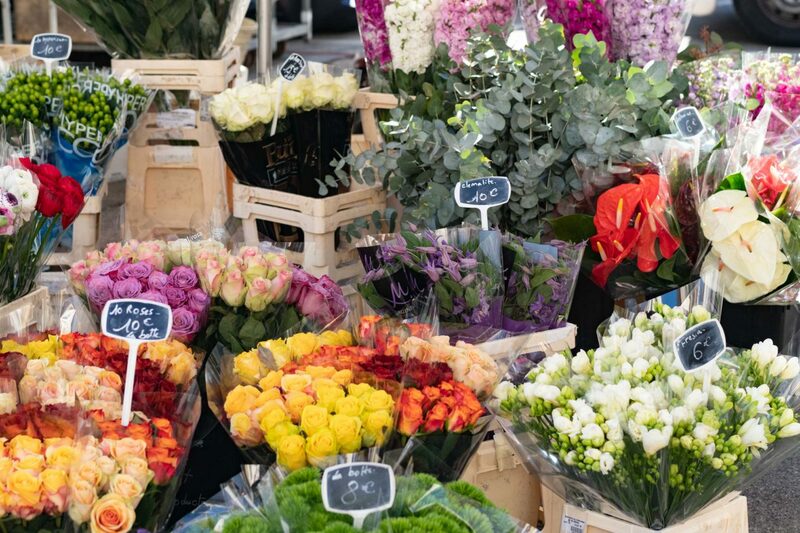 My trip to the St. Tropez market last June was a wonderfully overwhelming experience. I bought a linen dress, Italian, which the stall owner styled with a gorgeous belt worn below what used to be my waist. There was so much to see! The cheeses, olives, oils,tea towels etc etc. Just the most amazing experience. 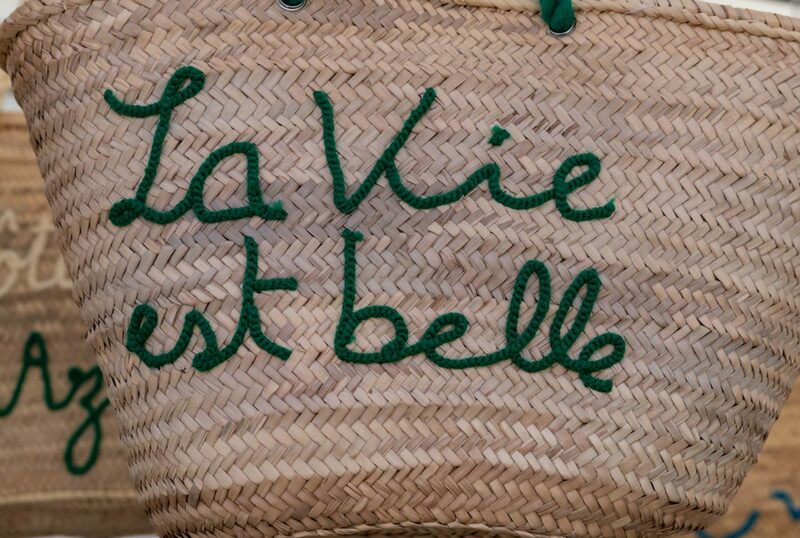 I love when you give us insights into St.Tropez! The market is so colorful and fun. I can see us all giving you a shopping list ! Best of luck to you in following your dream! Will you be announcing when you have new stock? 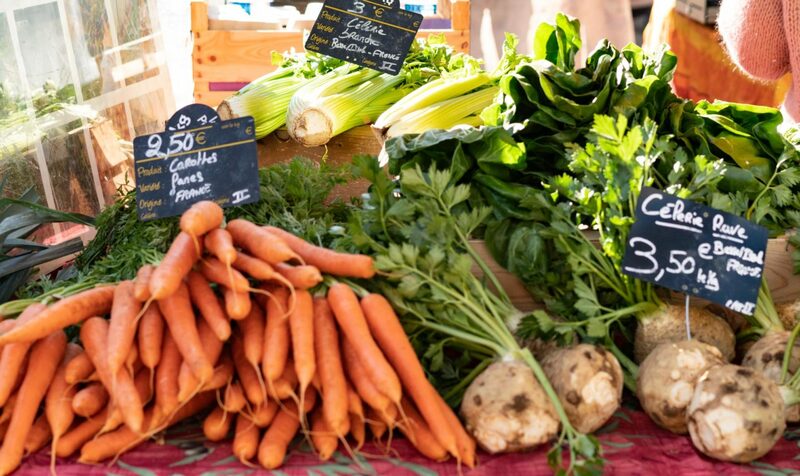 Love your blog and this one with the pictures of the market is fabulous! I just sit here in the U.S. and drool/dream. Yes definitely. Have just been back to the market this morning to see if I could find some more leopard print scarves as they seem to have sold well. Found a couple which should be up in about weeks time when I have photographed them. The stock will be constantly updated and I will let everybody know when new stock is up via my blog. Good Luck with your shop, unfortunately for me the leopard print is out of stock, but I will keep checking when you get new stock. Oh, the colors are just glorious! I can’t wait to shop your scarf selection! !